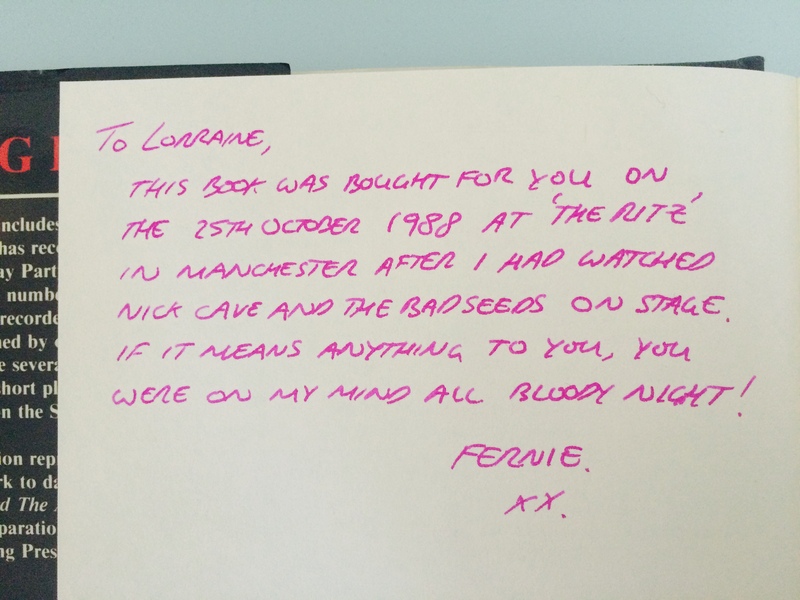 In 1988, as a young gentlewoman, I bought a copy of Nick Cave’s ‘King Ink’ from Dillons bookshop in Nottingham. A collection of his song lyrics from the early days of the Birthday Party to ‘Your Funeral, My Trial’, it was a slender black poseur of a book that I would slide out of my army surplus rucksack (personalised with scribbled names of my favourite bands) and read ostentatiously on the school bus. I lost my copy some time ago, in a house move or an over-enthusiastic clear-out, and have been looking for a replacement for a while. EBay, the repository of once-treasured possessions, came riding to the rescue. I like to hope that Lorraine read the message, swept her long black hair away from her kohl-rimmed eyes, and ran off to find her love in a flurry of tie-dyed skirts and LouLou perfume. Either that or she dropped it, unimpressed, on her Aztec-print duvet, lit a joss stick and turned ‘Tender Prey’ up a bit louder. It was with this in mind that I found myself looking up the nostrils of the man himself, in the velvet-curtained and walnut-panelled elegance of Porchester Hall. Cave was reading from The Sick Bag Song, his latest collection of writings, composed entirely on airplane vomit sacks during his 2014 North American tour. It’s typically Cave – baroque, bleak and bizarre, shot through with a black-as-pitch wit. Badger and I had arrived at Porchester Hall rather earlier than expected, and found some hardened Cave fans (possibly including Lorraine) already queuing. I persuaded Badger to join the line, and as a result we were right at the front of the hall, with a birds-eye view of Cave’s inevitably black socks (that’s Badger’s head in the shot below). 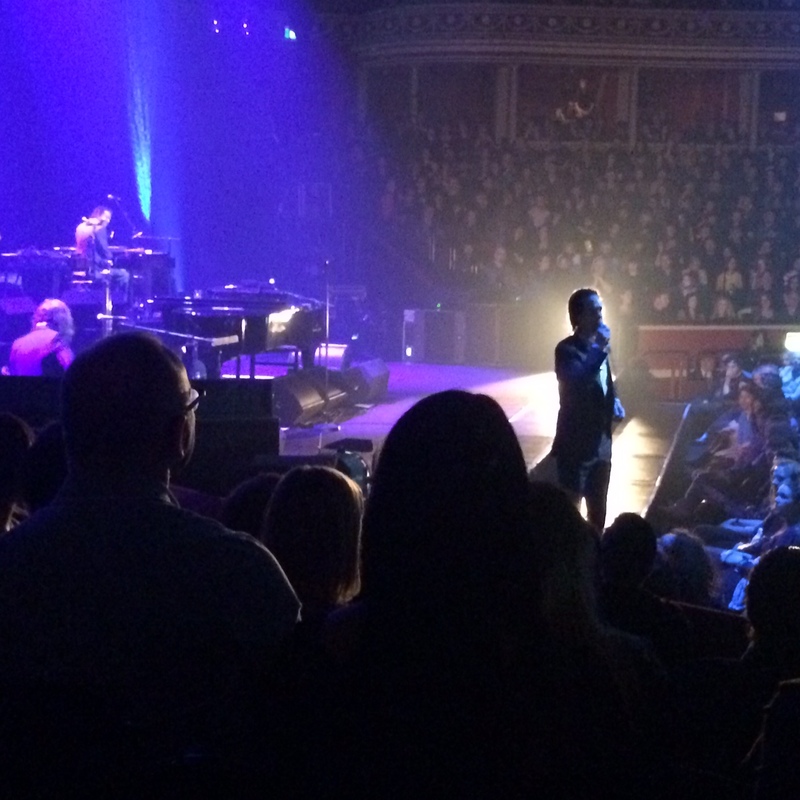 Cave was on fine form that night. 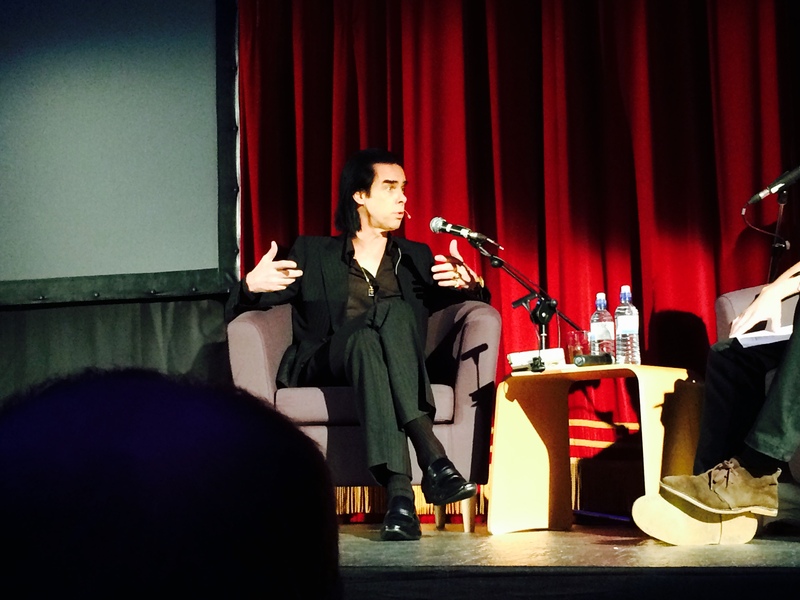 By turns cagey, curmudgeonly and charming, he fielded some of the odder questions from the audience with more grace than they deserved (‘what’s your favourite fruit?’ ‘what do you think of Game of Thrones?’) and dealt admirably with the venal business of book promotion by treating it with a weary disdain. I shouldn’t imagine for one moment that Cave would like to be called a national treasure , that much devalued term now applied to any creative person who hangs around long enough, the non-gong version of the honours system. But that is what he’s on the verge of becoming. 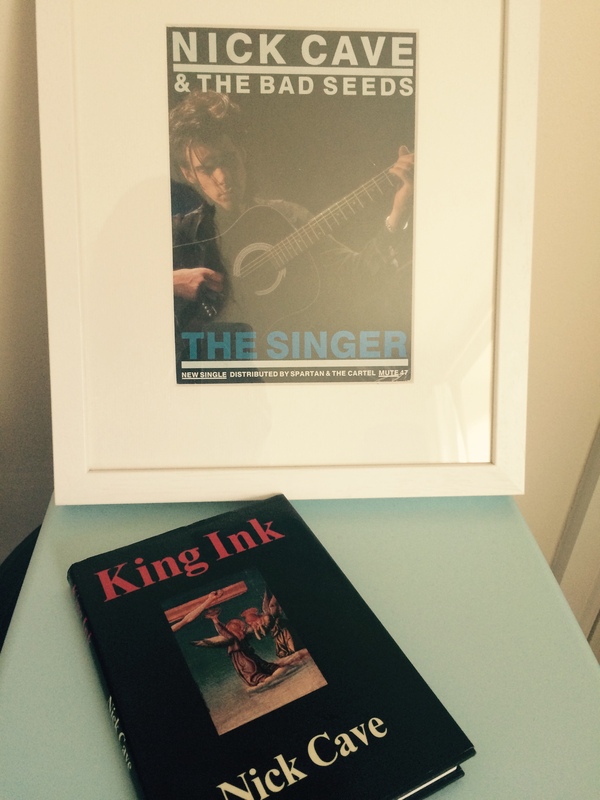 Back in 1988, when I bought my first copy of King Ink, he was a thin black shadow on the periphery of popular culture; now he’s at the heart of it, with reviews in media as diverse as Fortitude and the Financial Times. With each passing year, the ranks of the Cave faithful swell to include not only Lorraines and Amys, but Millies and Gregs – and the sidewalks are full of love’s lonely children, swinging along with this master of modern macabre.